Put the "boo" in booze this Halloween and give your party goers something to scream about with these spooky cocktail and punch recipes! We've rounded up 22 of our faves -- check 'em out below! In a world that moves at an unprecedented pace many of us are opting in for a return to the simple pleasures of life, putting down our phones and meeting our neighbors and friends face to face over a meal. Editor's Note 1: For those in North America, Australia, Scandinavia, and elsewhere, courgette is the French term for zucchini. Editor's Note 2: This sounds amazing. A great crowd pleaser for meat-eaters and vegetarians alike this quick midweek dinner will be on the table in under an hour. Alone on the eve of thanksgiving and stuck for ideas? As the holidays set in you might find yourself away from loved ones or maybe starting your own family tradition with new ones. Either way, we've got you covered! We're rounding out this months soup series by shining the spotlight on the mighty yellow eared giant, corn. This dish is super simple to prepare, a true one pot wonder that you can dress up or down to taste and never fails to impress at potlucks and dinner parties. One of our favorite things to do with our backyard hens eggs is to make good old fashioned pancakes. We do it at least once a week and I've had several requests via Twitter and Instagram (@mattallison) to share my recipe, so without further ado, here it is! That's right. I said bake IN a jar, not from a jar. This recipe is so easy it will leave you wondering why you ever bothered to make pancakes any other way. It's summer and that means you have a far greater chance of ending up in a bathing suit. 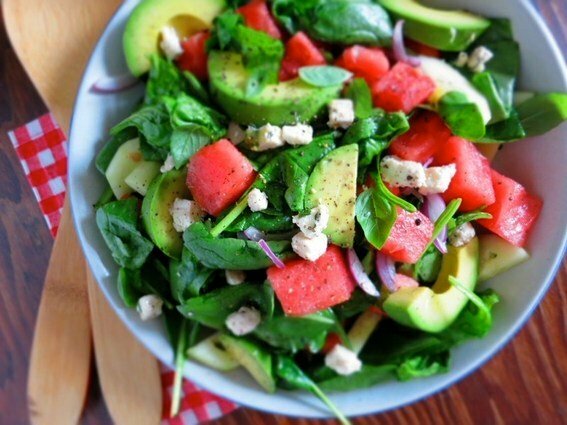 Naturally, you look awesome, no matter what your size, but if you are especially conscience of your diet when you are headed to the beach (or pool), these salad recipes are for you. Bonus: They actually taste good! A little mid-summer pampering sounds pretty good about now, don't you think? There's nothing better than a homemade citrus scrub to reinvigorate the senses and have your skin feeling fresh and new! How To: Make Delicious Three-Ingredient Frozen Yogurt -- From Scratch! There's never a better time for cold, homemade treats than right now AKA the dead of summer. Everything is hot and gross and have I mentioned hot? No? Okay, it's HOT out there y'all. Treat yourself to some simple and delicious three-ingredient frozen yogurt! Hi! I’m Alexandra Hedin – a lifestyle and entertaining expert from the Pacific Northwest. I provide inspiration, recipes, and crafts for creating a lovely life. It doesn’t take much to make everyday lovely – or to have fun. And isn’t that what life is about? All week I’m here showing you how I threw together a little springtime affair that takes only a little thought and some good friends. The last three days I showed you how to start the evening off right with a fabulous little cocktail hour. On lovely nights outside like this, I like to serve an easy main course that's more of a continuation of appetizers - Steamed Clams and Mussels are perfect. How to Make Macarons: Three Tasty Ways! Wow... drool-inducing, right?? I've always wanted to learn how to make macarons and this tutorial has not one, but three different flavors: pumpkin, pear, and apple. That's a flavor explosion, folks!